Would you like to change the lightbox transitions for your Envira Gallery? 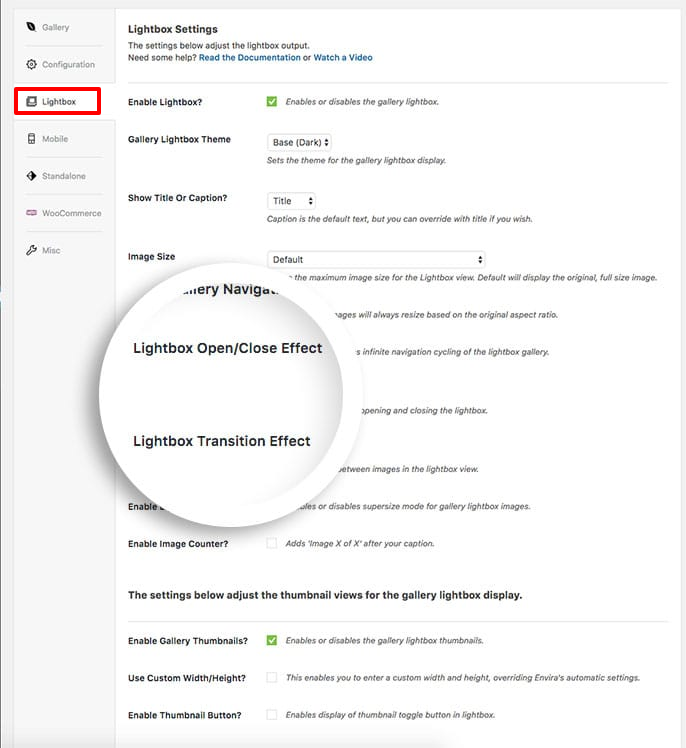 Envira Gallery has many options to choose from when setting up your lightbox transition effects on open and for image effects as your navigating through the lightbox. This tutorial will show you how to set up your different lightbox transitions for your Envira Gallery. Next, navigate to the Lightbox Tab. Here you’ll have some options to choose from for your Lightbox Open/Close Effect and Lightbox Transition Effect. Feel free to mix and match these options that work best for your gallery. And that’s it! Have a look at our demo of these transitions to see it in action! Want to do some more configurations for your lightbox? Why not check out our article on How to Change Lightbox Overlay Transparency.